grandma's cookie jar: Be Kind. Be Kind. Be Kind. Simple to say, simple to remember, and actually simple to do, as being kind is not difficult once you make the choice to do so. 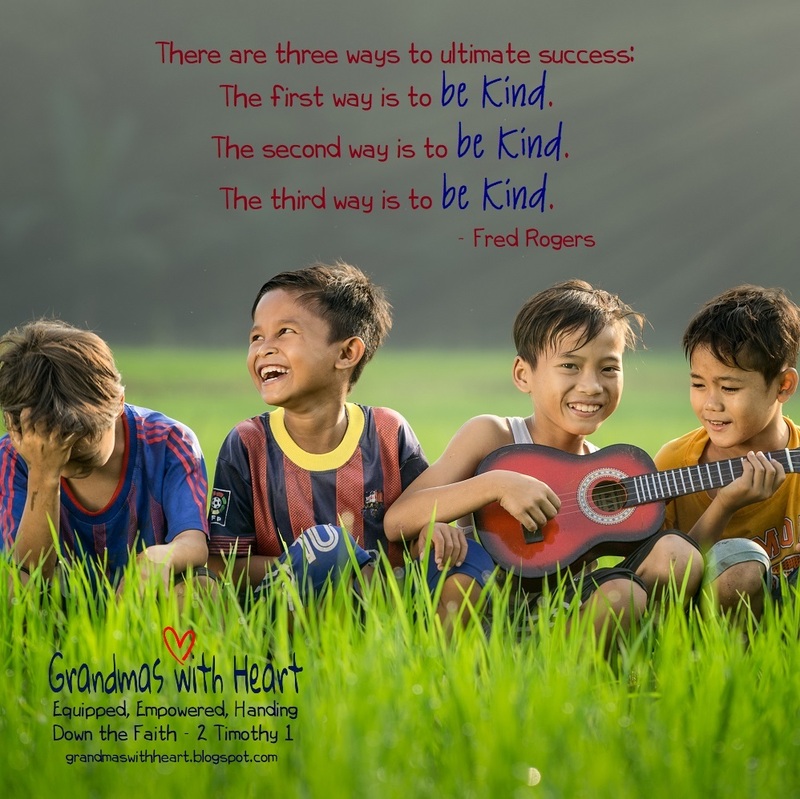 Encourage your grandchildren to be people who are kind, because when they do this, they truly will be successful in what matters the most - in the type of person they are. Whenever you "catch" them being kind, notice what they did or said and tell them how happy you are to see them make the choice to be kind. Think of things you are able to do with them which will provide an opportunity for them to be kind - then go do them! And of course, be certain you model what it looks and sounds like to be a person who is kind - it matters! "There are three ways to ultimate success: The first way is to be kind. The second way is to be kind. The third way is to be kind."